In terms of generating sales and realize revenue growth, there is a constant need to optimize one’s appointment setting process. This is because business engagements with interested partners facilitate their transition to paying customers. But no doubt the process itself harbors a few complications here and there. Firstly, one can assume that not all sales leads actually translate to actual purchases. This is an issue for a lead management system to tackle. However, since appointments entail head-on engagements with prospects, it matters if your salespeople have the proper qualities in terms of audience interaction. It is also important to consider that effective B2B appointment setting depends on key sales facilities. The latest in CRM technology has to be installed so that leads can be better managed. While these can be set, they also entail expenditures on staff trainings and system upgrades. Without proper oversight, these investments might just degrade your sales process, culminating in a failure to reach sales goals. Failure is never an option and that is why businesses should focus on establishing sustainable strategies that can last long. Here are some useful tips to help you do just that. It is crucial that your sales staff know the appropriate time to set appointments with their prospects. Usually, the ideal period in which to make contact is during lunch or around 8-9 am. In telemarketing, emails complement your prospect engagements. Your mails must have new information that was not yet discussed during the initial contact. To gain another engagement means keeping your prospect interested, best done through free ebooks, informational materials and invites to company webinars and trade shows. It would seem the best approach to sell in the initial contact. But this often backfires, leaving your campaign on a difficult position to compensate for a rejected appointment. Marketers should remember that the sales process takes a long time before a prospect decides to buy. During such time, it is imperative to introduce your prospects to the types of capabilities you possess that other service providers don’t. The sales process takes a long time indeed, but this fact should not stop you from setting an appointment with your prospects. With a lot of hard work and dedication to your company’s goals will you truly attain realistic results in your B2B appointment setting. Any organization owes its success to cooperation. And no doubt a good B2B appointment setting campaign is bound to reap as many lead conversions as it can when its Sales and Marketing work harmoniously together, even in lead generation. But enough about cooperation. Real achievements are influenced in part by the people behind these departments. Competency and professionalism are no less important than teamwork. Thus it is important for businesses decision-makers to invest in nurturing their appointment setting team. When your goals are anchored on following up on qualified B2B leads, you might as well take crucial measures to improve your team’s performance. But this goes beyond small-time lectures and manuals on appointment scheduling. Training involves much more than just that. Indeed, it takes a lot more. Here’s how you can create an appointment setting dream team. A scheduled appointment serves as a thin blanket separating B2B leads from a purchase. Now, it is only a matter of puncturing through the layer using a special tool: communication. Obviously, there is a need to demonstrate a high level of authority to facilitate a purchase. For this, a pre-prepared call guide is essential for verbal effectiveness. Typical in the B2B world is rejection. Even more pervasive are negative comments, and not to mention angry rants. There is no denying this reality. But the only way to approach such demoralizing experiences is to establish a buffer. A call rehearsal is an important step in preparing your personnel for the real thing. This allows your team to know what to expect once they pursue a scheduled appointment. Of course, before any appointment is set, a thorough knowledge of your prospects is as good as effective communication skills. In the B2B industry, people in the executive class or in higher positions are your audience. Thus, you should maintain a database in which prospect information can be stored. Having a proper understanding of pertinent lead data can help your team to drive the appointment home. What do you want to relay to your prospects? How best could you present your message to them? Once your team has a firm grasp of your lead generation and appointment setting parameters, you could bet that they could entice B2B leads to agree to a telemeeting. Competency is what makes an effective team. But trainings have become too costly nowadays, prompting businesses to seek cost-efficient personnel solutions. In light of this, an outsourcing firm specialized in lead generation and appointment setting can be advantageous for your ROI. Since ROI maximization is always in the minds of B2B executives, it is not surprising that most of these businesses are spending heftily for optimized marketing solutions. However, making such a gesture never guarantees an improved appointment setting campaign. Some businesses are glad to churn out dollars just to streamline lead generation and telemarketing processes. These decisions are mainly based on the assumption that more expenses means more profits. Such a line of thinking is wrong in every level. For one, ROI tracking is a difficult endeavor, one that couldn’t get close to actual marketing objectives. Moreover, setting up an effective demand generation faces similar problems. And these mainly revolve around the issue of audience preference and “taste.” Precision is almost unattainable with regards to such processes. This exacerbates the dilemmas that many marketers are currently facing, especially when it comes to a better appointment setting campaign. Marketing automation however continues to be a relevant tool despite how some B2B experts view it. In terms of setting up sales engagements with B2B leads, it continues to be a reliable partner for better conversions. If you’re still not convinced, here are a few things that point how marketing automation and appointment scheduling and setting are better together. When leading an email marketing campaign, you would want every second to count. Time is essential as your prospects definitely make a great deal out of filtering what they deemed to be unimportant messages. They simply don’t want to entertain anything that doesn’t have anything to do with their time. With marketing automation, you are able to effectively manage multiple campaigns (and not just direct mail) by producing messages that aren’t insipid and huge time wasters. Precision is always a complex issue. But automated lead targeting could help you find the prospects that are eager to engage and to buy. You wouldn’t have to rack your brains over a list of potential prospects in your LinkedIn network. 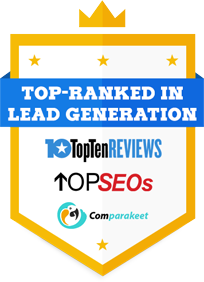 And you would give your conversion rates a boost by providing your lead generation and appointment setting with high profile B2B leads. Automated lead management and follow up could improve any endeavor for a sales appointment. Once you get to interact with a potential B2B partner, it is imperative to keep him or her interested until an appointment is anticipated. With marketing automation, you are able to engage your prospects directly and warm them up for your sales pipeline. Apparently, a good marketing automation program has to be handled expertly. Better guarantees are made by companies that have a proven track record in lead generation and appointment setting. One of the most indispensable methods of marketing for companies in Australia would be organizing public events. These are special occasions where businesses get to interact with people outside their company, even outside their own industries. For a purely networking perspective, this is a very good way to attract more B2B leads. Of course, since we are talking about public events, like a forum or a business fair, you need to invite other companies, right? You need to make sure that the intended visitors actually get your invite, or are persuaded to attend. This calls for some events telemarketing campaign to be organized. Now, if you do not have the means to organize such a B2B appointment setting activity on your own, you can always opt for an easier alternative, and that is to outsource your marketing campaign to a professional lead generation agency. If you choose the right partner, then they can get you the results you sorely want. They might be able to put in a good word for you to your business fair prospects. The challenge here would be to choose the right firm as your partner. You would want them to possess some qualities that will help your own business succeed. 1. They are passionate – since they are your partner, they must possess that desire to get your business going. No matter what challenge gets thrown your way, if they are passionate enough and they share your vision, then they will get you through. 2. They are ambitious – it is not bad to have an ambition. What makes it wrong is when it gets in the way of true progress, but I digress. When it comes to an events telemarketing partner, you would want someone who has high aims and is not afraid to chase them. 3. They are nearby – in the sense that they can easily get in touch with you and vice versa. With the evolution of modern communication tools, having a marketing partner on the other side of the planet would not be a problem at all. 4. B2B lead generation – a good B2B lead generation partner would be someone who can help you in taking care of business. They know what is expected of them, and they make an effort to deliver. Without that commitment, your partner may very well just be a liability to your business. 5. They are motivated – well, events telemarketing is not exactly a rewarding work, so having a marketing partner that is highly-motivated, can be a great way for you and your business to succeed in your activities. To be honest, if you can find a marketing company who possesses these five traits, then you should grab them. It can be really hard to find good marketing partners. For your events telemarketing needs in Australia, you have to choose well. At least there are a lot of these companies to choose from. As a business investment, you have to make sure that they deliver you the returns you need. As a manager, it is your job to ensure that everyone is doing well in their work, reaching their sales leads quotas and letting them get even better in their B2B appointment setting operations. And while you may be employing a bunch of new strategies and methods that will help them work better, you have to admit that there are some things that will never change. Among these would be the amount of work that you have to do in one day. Since we are talking about work, you might find yourself doing things that will not help you at all. Indeed, these might actually cause you to waste precious time. It sure makes sense if you can avoid them, right? So, what are these time-wasters that you should be avoiding? 1. Working too much on the wrong work – you know that there are limits to what you can do in a single day, so we try to work on things that matter the most. The problem here is when we focus our efforts to much on the wrong part of your telemarketing campaign. That would certainly waste a lot of precious time and manpower in our work. 2. Putting off the easy ones – I tell you, the easy tasks that you put off for tomorrow will become the hardest ones on that day. A veteran marketer would take every chance he gets to finish all necessary stuff up on the day it appeared. Letting it linger for later handling would be poor time management, and will cause you to waste time later on. 3. You micromanage your employees – all right, you might want to properly manage and observe your employees, but you will not be going anywhere near your goals if all you do is breath down their necks. You have more important things to do, and your employees will need a little slack while they are working on getting more B2B leads coming in. If you really believe that your employees need guidance all the time, then you probably chose the wrong people for the job. 4. You focus too much on the details – in marketing, you should really look at the details, but focusing too much on them would cause you to miss the big picture. When that happens, well, you might start committing mistake number one or two. Try putting some perspective in your work. That would help. 5. The wheel keeps getting reinvented – if there is anything that you might want to learn about in terms of time wasters, it is that reinventing the sales process rarely gets you the right results. Truly, if you are sensible enough for the job, you will know that some selling styles are best left as is. You just have to know what these are and work on them. Yes, these are sure-fire sources of wasted time. If you truly want to be productive in your B2B appointment setting campaigns, please try avoiding these common, but erroneous, business and marketing practices. In any B2B lead generation campaign, attending public events and creating networks from the people you meet is a necessity. You know that getting B2B leads can be done in a variety of ways, and it makes sense that you use all avenues in getting them. That is why networking is a good place to start. You get to meet a lot of people, interact with them, learn what issues they face every day, generally giving you an idea on what you and your appointment setting team should do to turn these acquaintances into actual deals or closed sales. Come in early – while some of you would be tempted to arrive a few minutes after the event, but that would be a bad move in marketing. You would want to come in early in order to observe the other attendees better, as well as identify groups or individuals that you can interact with. Ask around – when you are in a social event, please try not to stay by the walls. Not only will this make you look like a sore spot, it would also hinder you from meeting people and getting information out of them. That, in turn, would reduce the number of prospects that your telemarketing team can contact once you get back. Forget the sales pitch – if you want a sure fire way to dissuade prospects from doing business with you, you should try using a sales pitch on them. Really, if there is anything that a prospect or networking event attendee hates to hear, it has to be someone trying to sell them something. That never ended well for those who used it. Besides, the whole point of you attending such events is to meet new people. Talk about your passions – you know, if you want your new conversation partners to warm up to you, then talking to them about your passions can be a good topic. Besides, if both of you like the same thing, then would it not be the perfect way to establish a connection that can be transferred to your B2B appointment setting campaign later on? You should give this a try and see it for yourself. Smile – truly, the one networking asset that many marketers tend to forget. You see, no one really approaches someone who, while they may have something good to offer, when they see that same person with a dour expression. Do not dominate the conversation – while you may have something much to say, it is never a good move to actually hijack the conversation. A good appointment setter would let the others talk more. It is all about the conversation, not the business. Follow-up – after the meeting, and especially if the conversation yielded good results, it is always good to give them a call or follow-up with the conversation, on a different date or a different place. In that way, you are connected with them beyond the event. Pretty easy tips, to be honest. Just follow these and your B2B lead generation campaign would be fine. Before you decide to outsource your b2b appointment setting campaign to an appointment setting service provider, you have to take note of these 7 factors. Knowing these things about your BPO of choice is a must if you want your appointment setting campaign to be successful and ensure your ROI. Efficient appointment setting quality controls – When setting appointments, not just any business lead will do. Good b2b appointment setting campaigns only contact high quality b2b sales leads which are already pre qualified from the initial lead generation process. Source of the business list used for appointment setting – Bought lists can be used, but these tend to be sold to your competitors as well, which means your chances of finding qualified leads are slim. A good business list for appointment setting should be freshly sourced from organic searches. Scheduling coordination between appointment setter and client – shared calendars such as Google’s are a good choice for coordinating sales and appointment setter schedules, but to ensure that every member of the appointment setting team and the client company is well-coordinated, CRM software that have scheduling tools are a better choice. Script or content quality – just as expert b2b telemarketers use telemarketing scripts when cold calling b2b sales leads, good b2b appointment setters use scripts or content which have been tested before they are put into action on campaigns to make sure they deliver the desired results. Pay for performance appointment setting or fixed rate – while both methods have positive and negative points, pay for performance appointment setting service providers can be quite unreliable. Fixed rate appointment setters offer more security for companies who want to outsource. Reporting methods – knowing how a b2b appointment setting company reports about campaigns are important to make the most out of each campaign. To make reporting more specific to the data or information that a client wants to know, a CRM software containing all datas pertaining to the campaign that can be accessed by the client whenever and wherever he wants will make reporting completely hassle free. Appointment setters previous campaign metrics – b2b appointment setting service providers should share feedback from previous client campaigns to allow prospective clients to gauge their ability to successfully set business appointments. The portfolio of the BPO firm should be easy to spot in their website, or they should be readily available should the potential client ask for it. All businesses, regardless of size, need a steady flow of sales leads to continue growing. This is the reason why sales and marketing should be allocated a significant portion of the budget, with the main focus on finding new b2b and sales leads. While lead generation is just one segment of the overall sales process, it remains an important function of your company. For a business to business company, generating b2b leads can be done through various processes. Some of the most effective b2b lead generation strategies include: email marketing, networking, b2b telemarketing, paid advertising, and content marketing. Deciding on which marketing strategy to implement in your business depends on which one works best for your business. But why look for new business leads when you have a lead nurturing process in place? Having a lead nurturing process is obviously a necessity in business to further increase profits and maintain long-term profitability. However, despite having a lead nurturing process to make the most of all b2b leads generated, business lead generation should remain of prime concern to business owners and marketing managers. No matter how reliable your lead nurturing process is, your sales and marketing people can only nurture as long as leads and clients allow them to. The time will come when you and your clients have to part ways, and if you have not been continually looking for new b2b sales leads, you will be left with no client or business leads to nurture. The client decided to transfer to a competitor who offers a cheaper alternative. The client is cutting down on business expenses. The client can no longer sustain the business and has filed for bankruptcy. The client has decided to move to a different location, and subsequently, to a different service provider. Finding fresh new business sales leads for your business is an ongoing process. As stated above, there are various business lead generation strategies that your company can utilize, and the best strategy is to use 2 or 3 different strategies at time to get the best results. If your company uses email blasts to reach out to prospects for your b2b appointment setting campaign, you should complement this with other marketing strategies like b2b telemarketers and content marketing. As your company continues to grow, you must also increase your lead generation campaigns to find more new leads to sustain your business. Appointment setting is important…you may agree or you may not, but the truth is that you cannot survive without appointment setting. What is appointment setting? It is about identifying prospects and then setting an appointment with him where your sales or marketing professionals can meet him personally. A lot of times appointment setting has turned out to be a misnomer, because a lot of b2b appointment setting service providers would simply start calling up your prospects without even having a true knowledge of what your company is offering and why the prospect would be interested in setting up an appointment. It happens in plenty of occasions that prospects agree for your sales professionals to meet, but many of the meetings do not end up bearing any fruit…interestingly, and some prospects even may not recall setting the appointment in the first place. Such unqualified appointments definitely add cost. To make the most out of, say, IT and Software services appointment setting, you should ideally contract a company to whom you do not simply outsource your appointment setting services but one who provides sales solutions. Such a company would fill client forecasts and set important appointments, not halfhearted meetings. You should also make sure that their expert sales and marketing professionals can deliver the opportunities you would need to increase sales leads, correctly cover client markets, and add predictability and surety to prospecting. When choosing an appointment setter for your business, it is important to that their services are compatible with your company goals to develop to provide excellent customer service. We all know that lead generation is important for a business to grow. It is also important to have a good system for contacting the leads to establish good relationship with them. Appointment setting services can help you manage your contacts, call them, deal with them and to set up a meeting. To find new clients from those leads is not an easy task. It is absolutely impossible for a business owner to manage time and manpower to contact all those leads and make deals with them to do business. With B2b appointment setting, you can do all the tasks up to rescheduling and dealing with clients confusions about the set meeting. Outsourcing appointment setting services will not only help your business increase sales but it is also for cost-reduction and increase revenue. It will be much expensive if you plan to have your own appointment setting company. Training people and building the infrastructure will cost you a lot. B2B appointment setting services works like they are within your own company. They know how every product and services that you offer. They know how everything works. These will double the force of your selling system and increase sales output. They are expert in this field and able to make strategies that will work for your business. Working with an appointment setter will not only increase your sales but will make you to be noticed by your prospects. There are different mediums that can be use nowadays like radio, TV, and online ads but business owners cannot be contented with them. They know that using the phone and talking to the potential customers is still the best. When working with an appointment setting services it is important that you work with a company that is already experienced and have good reputation. Check the companies that they have worked before. Look if they are effective like they said they are. Do not hesitate to ask questions. You must know how their calls are made, time they call, how many shifts and more. You might also want to know what other services they offer that can help your business grow.